ustralia’s biggest state is virtually all desert but it does have a cool coastal skirt that runs south from the state capital, Perth, and around the southwestern corner to parts kept cool and damp under the influence of the Southern Ocean. WA contributes only a tiny amount to Australia’s total wine production (3 per cent) but by our reckoning accounts for an unequal share of its premium wine. That said some have dropped the quality baton in the race for bigger volumes and healthier profits so care is needed among some of the better known names. 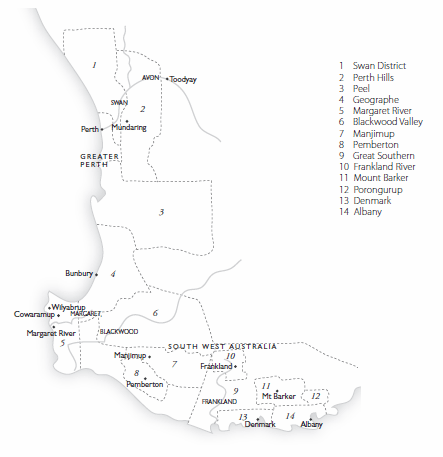 Nearly all of Western Australia’s premium wines come from this zone and its two most important regions, Margaret River and Great Southern. The Margaret River juts into the Indian Ocean but despite problems of wind and the ravenous local wildlife, especially the birds, its ‘founding doctors’ (establishing Vasse Felix, MossWood and Cullen in the late 60s and early 70s) were soon followed by Leeuwin Estate, Cape Mentelle and others. Wines of remarkably rich, pure, deeply textured fruit from Cabernet Sauvignon and Chardonnay have been produced in the decades since and the region continues to grow apace. 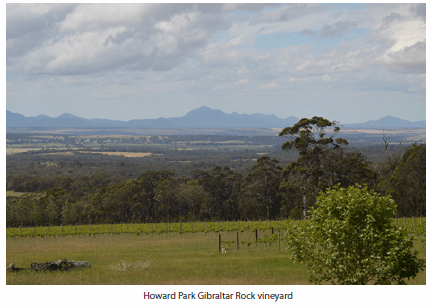 The central part of the region, especially Wilyabrup (which has a preponderance of well drained ironstone gravel soils), produces particularly powerful, structured reds; its fruit is highly sought after as a blending component by others. To the north, around Yallingup is slightly cooler but, with similar soils, produces robust reds. To the south, between Margaret River township and Karridale it is significantly cooler; whites are a real strength, reds more sinewy. Sauvignon Blanc and Sémillon (especially combined) and Shiraz are made to a high standard too, the former ranging from quaffers to serious oaked examples. To the north and east of Margaret River, Geographe incorporates a large swathe of countryside, stretching from the coast inland. Capel Vale, located on the coastal strip, is the leading winery but up-and-coming inland valleys are also being developed like the Ferguson Valley. Great Southern, as its name suggests, is an especially large region. Frankland River is currently the most planted of five sub-regions, and often excels with Riesling, Chardonnay, Shiraz, Cabernet Sauvignon and Cabernet Franc. Producers include the likes of Alkoomi and Frankland Estate but grapes are also sourced by others based outside the region such as Houghton. Mount Barker’s potential has long been highlighted by Plantagenet, but others too make fine Shiraz as well as excellent Riesling and Chardonnay. Porongurup lies east of Mount Barker while Albany and Denmark, which can be wetter, reach down to the coast – scattered vineyards can provide marvellous fruit. 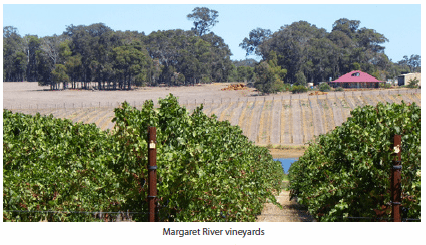 Between Great Southern and Margaret River even more far-flung vineyards are appearing in the gaps between extensive tracts of forest in three emerging areas, Blackwood Valley, Manjimup and Pemberton. The latter, the most exposed to the Southern Ocean, has already achieved wider recognition thanks to Picardy and Salitage. Smokier Pinot Noir it is surely not possible to find, the distinctive wines being influenced by the effects of the controlled burning of forest fires. Sauvignon Blanc, Chardonnay, Shiraz and the Bordeaux varieties are also successful.